The most important thing a captain can do is to see the ship from the eyes of the crew. It has been called the “Best Ship in the Navy”. But that wasn’t always the case. The USS Benfold is one of the most technologically advanced ships on the deep. Her crew had amazing potential. But as one leader pointed out, “potential” sometimes just means you haven’t done anything yet. Once crisp and focused, the crew had fallen into a quagmire of low morale and even lower performance. The Benfold’s scores routinely missed the expectations set by the Navy. Captain D. Michael Abrashoff was placed in command of this substandard vessel. From the outset, he focused his efforts on molding the ship and her crew into the team of warriors that he knew they could be. He was driven by the belief that there is always a better way to do things. He understood his crew knew better than anyone else the answers to the questions and issues that plagued the Benfold, crippling her performance. She was designed to be one of the fastest and most lethal warships ever to set sail, but instead she languished in mediocrity. Abrashoff was convinced the key to unlocking the ultimate performance lay in the hearts and minds of his team. Captain Abrashoff believes that the best thing a leader can do is see the organization through the eyes of his team members. So that is what he did. He wanted to make sure the crew knew that they were important to him, to the members of their team, and to the Navy. He began by making it a point to meet every crew member of the USS Benfold and find out what was on their mind. What he heard was not encouraging. Many of them couldn’t wait to finish their time and get the heck out of the Navy. They felt that no one listened to them. They felt that they couldn’t have a positive impact on their environment. They wanted to do more, they wanted to be more. They wanted to be warriors, but they felt as though no one respected them. He asked for their feedback. He listened. His response was immediate and fully engaged. He began a systematic review of the things that needed to be fixed, and began to address them. From installing stainless steel rivets (instead of painting over rusted ones) to cross training the sailors, he made changes. He focused on broadening the individual’s experience, value to the Navy, and sense of importance. He even sent the ship’s cooks to culinary school! He created an environment in which his crew knew they mattered and were critical to the success of the team and the mission. He created an environment in which the crew could take pride in their work, their ship – and themselves. Captain Abrashoff understood that the old model of “do what I say because I say so” would not work. Instead, his focus on listening, seeing, and recognition paid off. 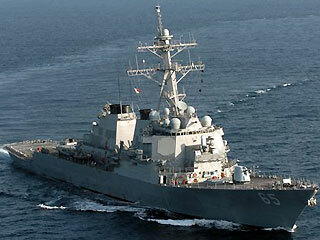 The USS Benfold went from being a marginal performer to being one of the top performing vessels in the fleet. “The more I thanked them for their hard work, the harder they worked,” he reported. In place of the traditional command hierarchy and approach, Abrashoff put into place an empowerment mentality. He put his experiences on paper in It’s Your Ship, sharing his approach to leadership in areas of Communication, Trust, Listening, and Leading by Example. This is an excellent book that I highly recommend. 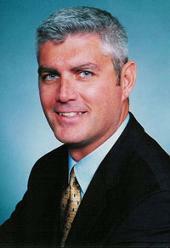 Captain Abrashoff has spent the last few years working with business, corporations, and individual leaders. His insight into the Business world is sharp and engaging. 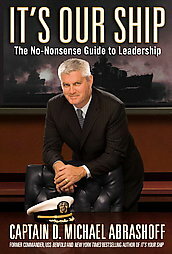 From his work with corporate leaders, he has written an amazing follow-up book, It’s Our Ship. It is an insightful, no-nonsense discussion about some of the most critical issues facing companies and leaders today. Trust, Ethics, acceptance of personal responsibility, support and recognition are foundational to the success of any organization, and this book does a masterful job of sharing how these touchstones can create success in our business and our life. Do I see what my customers see? Do I see what my team sees? Do I see what my competition sees? Do I see the future? Do I see the plan to address what I find as I look through the eyes of my customer, my team and my competition? This entry was posted on Thursday, April 19th, 2012 at 3:01 pm	and tagged with Abrashoff, Captain Michael Abrashoff, Its Our Ship, Its your Ship, Leadership, motivation, teamwork, terry newberry, U.S.S. Benfold, USS Benfold and posted in Uncategorized. You can follow any responses to this entry through the RSS 2.0 feed. Thanks so much for sharing. Definitely good questions to ponder and use as an evaluation tool in my work and ministry.